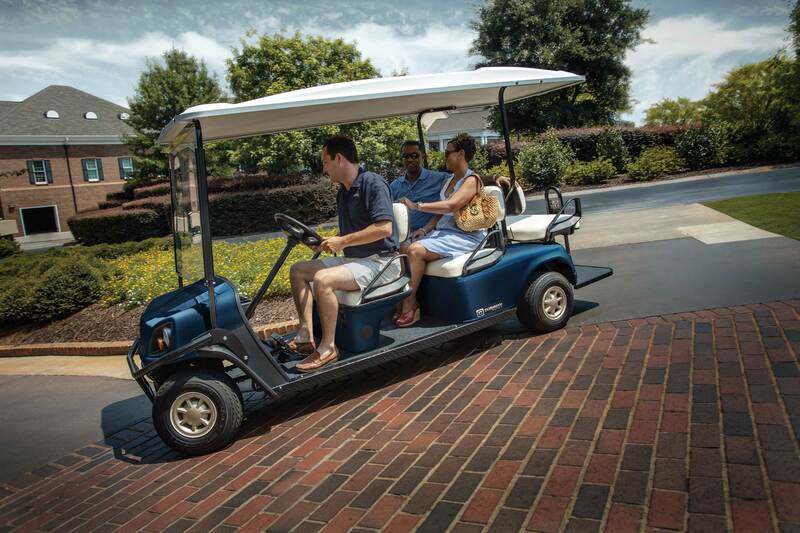 The Cushman® Shuttle™ 6 is the go-to vehicle for moving people throughout a facility. With four forward-facing seats and a rear-facing bench seat, it can transport up to six people quickly and comfortably. Available with a powerful 48V electric drivetrain, the Shuttle 6 will ensure your crew and guests will arrive and depart in style.